* KRNY-FM in Kearney, NE, and WFLS-FM in Fredericksburg, VA, hosted radiothons that raised $287,000 and $136,000, respectively, for St. Jude Children’s Research Hospital. These events were part of one of America’s most successful fundraising partnerships. During the past 25 years, more than 300 radio stations have raised over $600 million in support of the lifesaving work by St. Jude in fighting childhood cancer and other life-threatening diseases. * A yearly fundraising effort by WMAS-FM in Springfield, MA, generated almost $350,000 for Baystate Children’s Hospital. * WNKI-FM and WPGI-FM in Elmira, NY, raised $96,000 during the Children’s Miracle Network Radiothon. The money went to support children’s intensive care services at Arnot Odgen Medical Center. * The Salvation Army’s “Bed and Bread” program was the recipient of a $1 million gift, thanks to an annual radiothon hosted by Detroit’s WJR-AM. The station’s event is the primary source of funding for the program, which provides food and shelter services to the Detroit community. * Helping the nation’s military heroes was the goal of a 12-hour radiothon hosted by WGIR-AM/FM in Manchester, NH, which raised $156,000 for Veterans Count. The organization offers financial assistance and other resources to New Hampshire veterans, service members and their families. 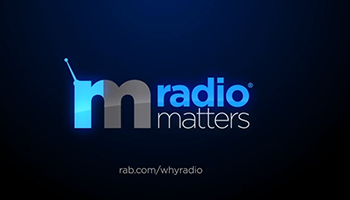 * WTMX-FM in Chicago received the NAB Crystal Heritage Award at this year’s NAB Show in honor of its year-round community service. Among the station’s many charitable endeavors, WTMX hosts the “Eric & Kathy Radiothon,” which has raised $27 million for the Ann & Robert H. Lurie Children’s Hospital over the last 16 years. Further confirmation of radio’s connection with its listeners, and its involvement in the community, are the results of the Jacobs Media Techsurvey 12. Almost 40,000 consumers were asked their primary reasons for listening to radio, and finishing second (right behind “hearing favorite songs”) was their enjoyment of the station’s various shows and their perceived personal relationship with the DJs/hosts. The survey respondents also mentioned radio’s role in the sponsorship/promotion of charitable events, in addition to being a provider of critical information in the event of an emergency, and a continual source of community happenings.